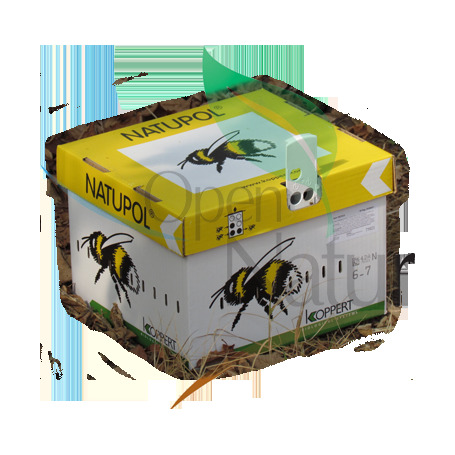 Content: colony with the queen, workers and the nest (pupae, eggs and larvae), bag with a sugar solution. Bumblebees are attracted to colors and smells, such as blue clothes, perfumes, etc. They are not aggressive but can sting with their sting to defend themselves. This usually results in a local swelling. It is not alarming .. However, some people may have a hypersensitivity reaction: pain and swelling in other areas of the body, or sometimes in the whole body. Other possible symptoms are: red skin, blisters, respiratory problems, nausea, sneezing, irritation of the nasal passages, throat or eyes. 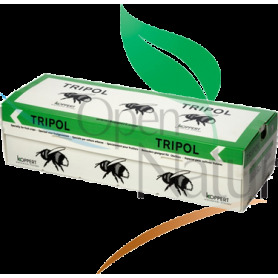 Natupol is the perfect solution for the pollination of a wide range of crops with approximately 25-35 flowers per m2 per week, for example: round tomato and pear, pepper and eggplant. 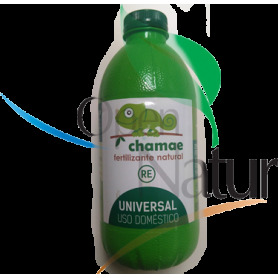 This product can be used on surfaces of 2000m2 or more. In crops with artificial lighting, bumblebees can be damaged during flight if they accidentally hit the lamps. In this case, it is advisable to introduce extra hives to compensate for the loss of workers. Place the hives preferably distributed along the south zone of the corridor, in order, to have maximum shade in the summer. The best position is horizontal (in an inclined position the sugar solution can spill). A platform can hold three hives at most. Be sure that each hive is placed with the exit door oriented in different positions. Before opening the flight door, allow the colony to be calm for at least half an hour before placing it in the crop. Whenever possible, open the exit door when the ventilation openings are closed to avoid worker losses. Locate the hives preferably distributed along the south corridor of the greenhouse, to have maximum shade in the summer. It may be necessary to provide an extra shade. CO2 concentrations can reach harmful levels for bumblebees. For this reason, close the CO2 supply near the hive. In crops with artificial lighting, bumblebees can be damaged during the flight if they accidentally hit the lamps. In this case, it is advisable to introduce extra hives to compensate for the loss of workers. The hive has two flight holes. For one of them bumblebees can enter but not leave. Through the other hole, bumblebees can fly in both directions. This system allows the workers to be inside the hive if it is necessary to carry out a treatment on the crop. To facilitate this, close the two-way flight hole. In an hour the bumblebees will be inside the hive. The sugar solution provided with the hive is generally sufficient for the life of the colony. Protect the hive from the entrance of ants, e.g. with a grease barrier or entomological tail. Also eliminate contact between the hive and plants, as this may be a possible route of entry for ants. If pollination is necessary for a long period of time, place new hives on a regular basis in the greenhouse. When a bumblebee visits the tomato flower, it clings to the flower, resulting in visible marks "bite marks". One visit is enough for optimal pollination. It is recommended to check the marks on the open flowers. Under normal conditions of time and development of the plant, the level of marks should be between 90% and 100% in open flowers. In most other crops, bumblebees do not leave marks of their activity on the flower.